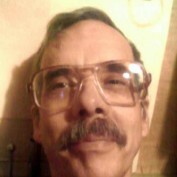 I am a retiree living in Minnesota who writes articles about simple games in my spare time. 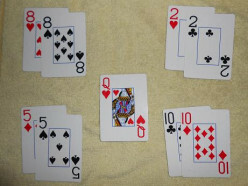 Around ten years ago, I wrote the article "Hearts Times Three" which contained the rules for the card game Hearts plus two variations. It made me think about the traditional card and dice games I played as a child and young adult, games such as Hearts, Up and Down, Yacht, and Shut the Box. It also brought to mind several simple games I had developed years earlier. So I decided to develop new simple games using standard cards and dice. 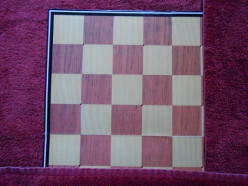 I added a checkerboard and checkers to provide a simple board and markers for board games. And I decided to write articles pertaining to simple games. I ended up writing articles that provide the rules for playing popular, and obscure, and new simple games, that provide variations of games, that talk about game design, that suggest modifications of game equipment, and that talk about playing games. I hope that people find my articles interesting and useful. The rules of the card game Up and Down as I played it, a simple version of Oh Hell. 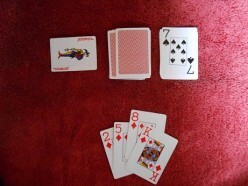 How to play Trout, a new card game using standard playing cards. Try to run out of cards. In this article, I explain how I created a new set of four suits that can be used to play standard card games. The result is challenging but doable. 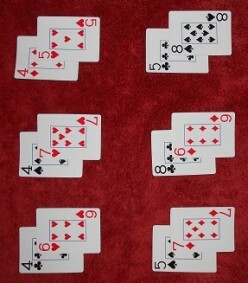 Layout-36 is a new, original card game in which you add cards to a layout of cards. 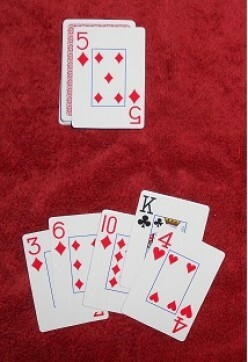 The object of the game is to run out of cards. 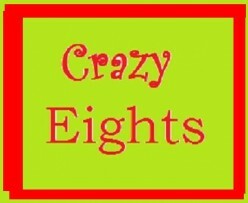 Like Crazy Eights. Three Ranks is a new card game that is similar to Crazy Eights. Remove is a new board game for two players. Remove all of your opponent's checkers. 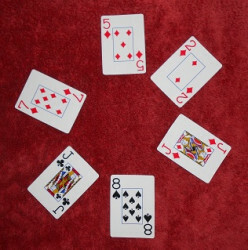 Play a new trick-taking card game in which you start each hand with the 13 cards in one suit of cards. 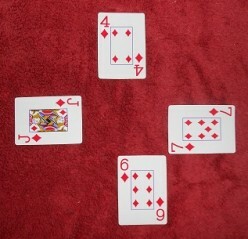 Play a new card game, Seventeen, where you you create sets of two or three cards that add up to 17. 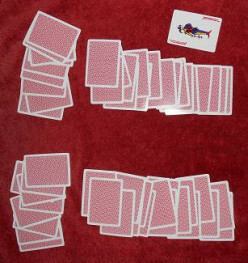 How to play a new card game, Tuna. It's a word guessing game. 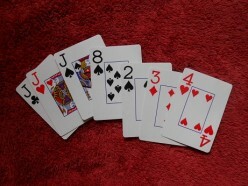 How to play a new card game, Gin 3-Set, game that is similar to Gin Rummy. How to find rules for playing numerous dice games, both familiar and unknown. 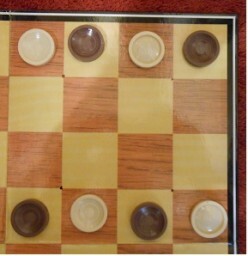 The rules for playing Checkers, plus several variations. 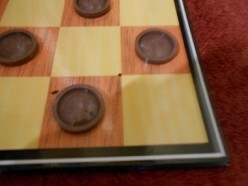 Quartette is a board game that you can play on a checkerboard. Slides and Ladders can be played on a checkerboard. You need a checkerboard, checkers, and a 6-sided die. Changing the way that tricks are taken in card games to include pairs of cards. 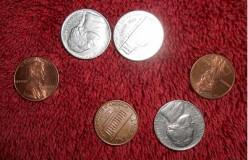 Centipede is a new game that can be played with six coins. It is a very simple game to play. 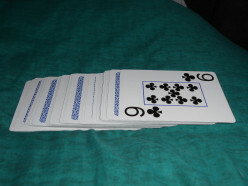 Knaves is a simple traditional card game for three players. Here are the instructions for playing. How to play a new card game Lazy Susan, modeled after the traditional card game Go Boom. And how to play Go Boom . 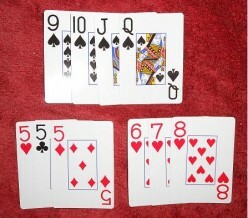 How to play Crazy Old War Whist, a new card game using standard playing cards. Rules for playing Matchable, a new card and dice game. 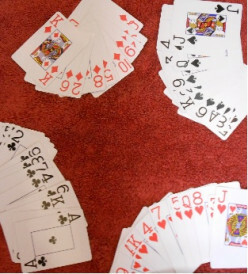 How to play Twenty-Nine, a card game where you try to add the card that brings the total value of a pile of cards to 29. How to play the dice game Centennial, a simple, fun game. 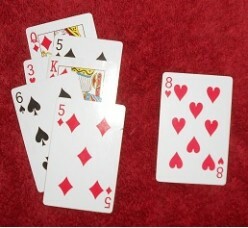 How to play Crazy Eights using double-suits instead of regular suits. 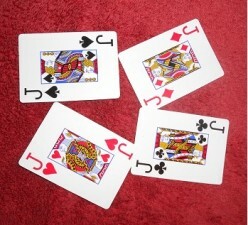 The rules for playing Fourteens, a new card game using standard playing cards. 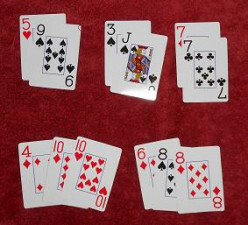 A new version of rules that allow just two players to play Hearts. 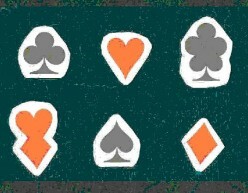 You can create alternate suits for standard playing cards so that each card has two suits. Several suggestions about how to use them. 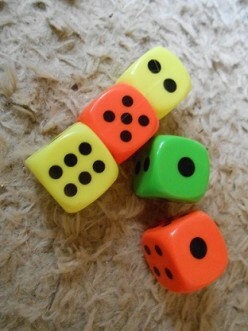 How to play the dice game Shut the Box one player at a time. And how numerous players can play at the same time. 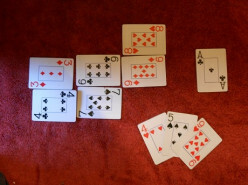 How to play the traditional game of Cancellation Hearts, and how to play two variations. The rules for the card game Gin Rummy. 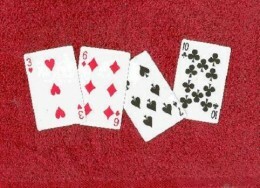 Plus how to play a simplified version called Gin Rummy Lite. 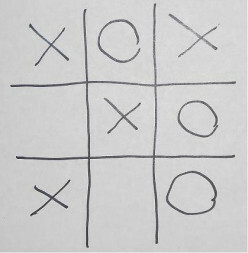 Tic-Tac-Toe on a checkerboard. Place checkers on a checkerboard, and try to get the most three checkers in a row. How to play Old Maid using standard rules or alternate rules. With alternate rules, the object of the game stays the same, but the play is different. A different way to take tricks in trick-taking card games. You have to think hard about what card you play. 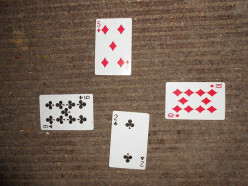 A look at the simplest card game that I had ever known, simpler than War. Play it with friends if they are willing, or incorporate it into another card game. How I created a new card game called Orangutan. 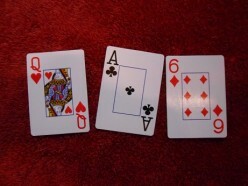 The rules of Hearts using common variations, plus a simple variation you may want to try. 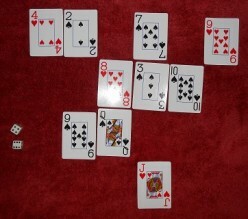 The rules and numerous variations for War, the simplest traditional card game I know. 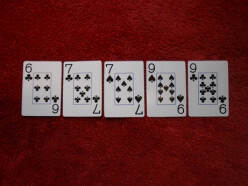 To play it, you just need to know the rank order of cards. 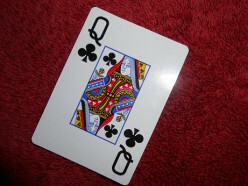 This article shows how I created six suits with standard playing cards, and what you can do with these cards. A close look at Crazy Eights as we played it as kids with store-bought cards, and how we play it as adults with standard playing cards. With variations. Kings Corners is a fun game that is not as well known as other games. 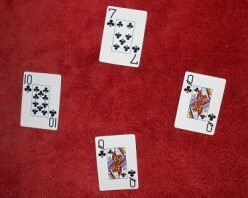 You place cards on a card layout.